Due to the lack of a face-to-face interaction between teachers and students in virtual courses, the identification of at-risk learners among those who appear to show normal activity is a challenge. Particularly, we refer to those who are very active in the Learning Management System, but their performance is low in comparison with their peers. To fix this issue, we describe a method aimed to discover learners with an inconsistent performance with respect to their activity, by using an ensemble of classifiers. 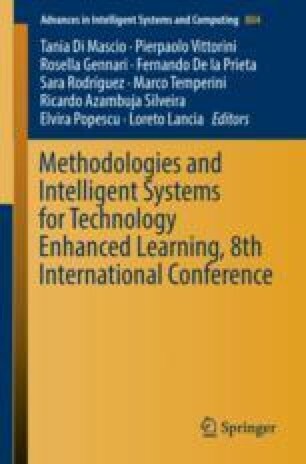 Its effectiveness will be shown by its application on data from virtual courses and its comparison with the results achieved by two well-known outlier detection techniques. This work has been partially funded by the Spanish Government under grant TIN2014-56158-C4-2-P (M2C2).